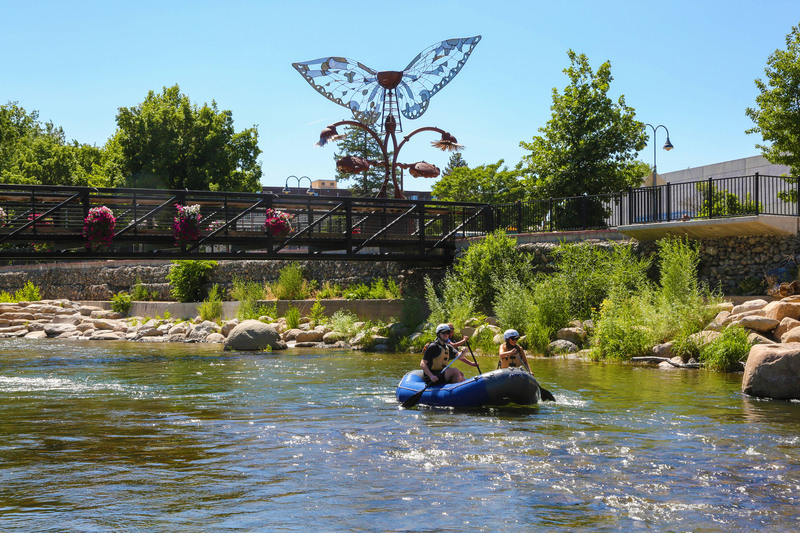 The Reno-Sparks area is growing and teeming with the energy of outdoor activities, special events and the blossoming Midtown district just south of downtown Reno. 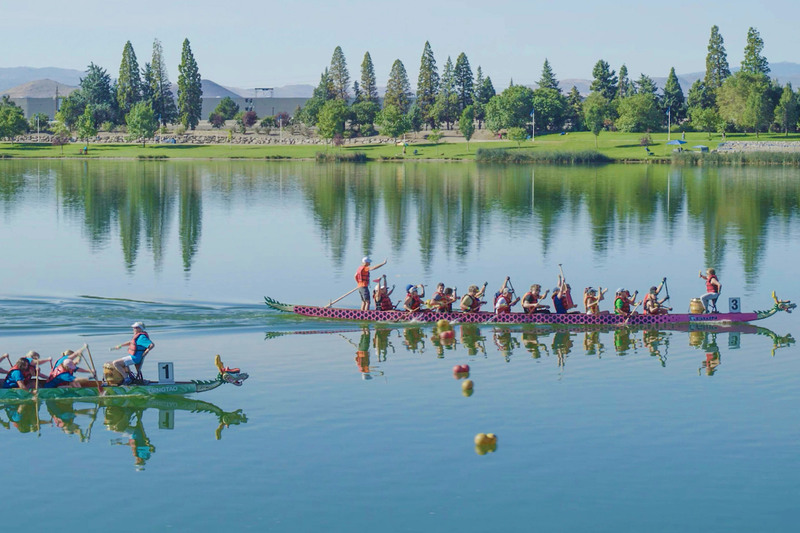 The area’s small-town feel still remains, though you would hardly notice during some of the nationally, and internationally, recognized events, such as the National Championship Air Races, Hot August Nights and the Best in the West Nugget Rib Cook-off! With more than 15,800 first-class hotel rooms, you’re certain to find comfortable accommodations at a very inviting value. While local casino resorts offer 24-hour entertainment, there are many more options for your northern Nevada getaway. 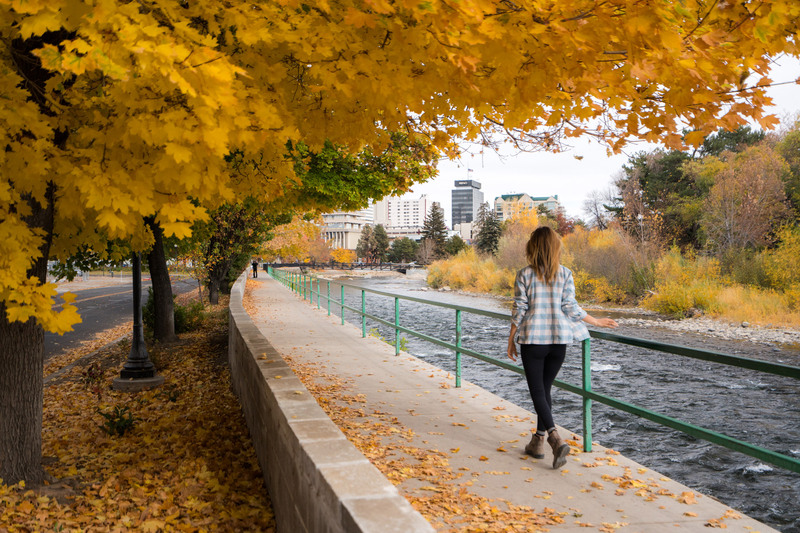 The Truckee Riverwalk District is a focal point of the Reno-Sparks area, where local restaurants are making a commitment to providing you a taste of local produce in every meal, set against the backdrop of the beautiful Truckee River, running right through the heart of downtown. The area hosts monthly wine walks and has one of the best themed pub crawl experiences in the country. If you prefer to be outdoors, enjoying the high Sierra sun, you’ll find hiking, biking, and kayaking are just a short walk away. And with more than a dozen world-class ski resorts and 50 golf courses all within 90 minutes of Reno-Sparks, you’re certain to find exciting outdoor adventures throughout the year. Families traveling with children will always enjoy a hands-on learning experience at the Terry Lee Wells Nevada Discovery Museum or the Nevada Museum of Art. Basecamp, at Whitney Peak Hotel, is a great place where kids of all ages can expend some energy climbing at the indoor bouldering park or the world’s tallest rock-climbing wall outside, along the main strip in downtown Reno. 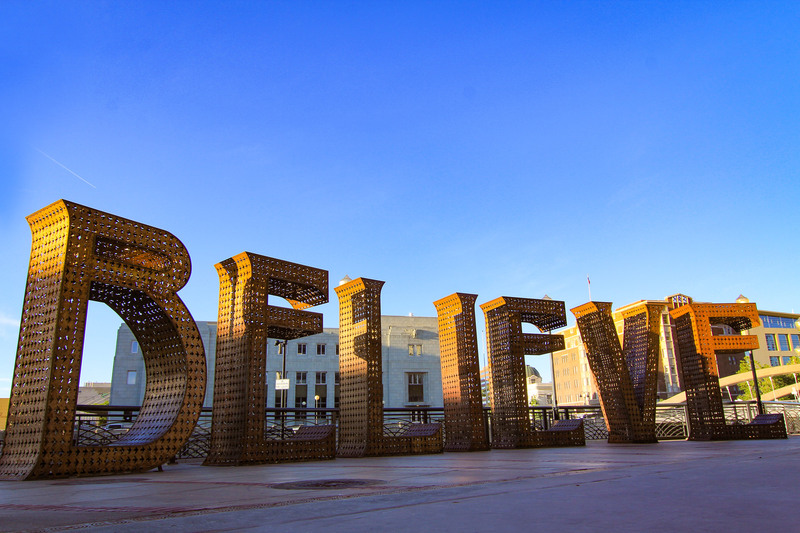 Arts, culture, nightlife, comedy, ballet, music, and endless outdoor excitement can all be found in Reno-Sparks. And we hope to find you here soon, as well! 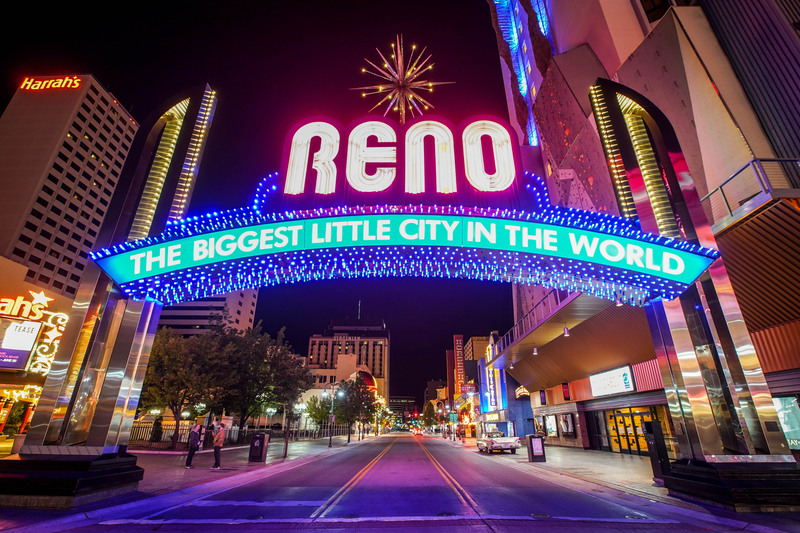 Reno invites you to find your passion. Start planning your escape online at VisitRenoTahoe.com or call 800-367-7366.